The 2015 TLX is the first Acura model equipped with AcuraWatch™, a comprehensive suite of safety and driver-assistive technologies with leading-edge road-sensing and collision-mitigation capabilities, including pedestrian sensing. 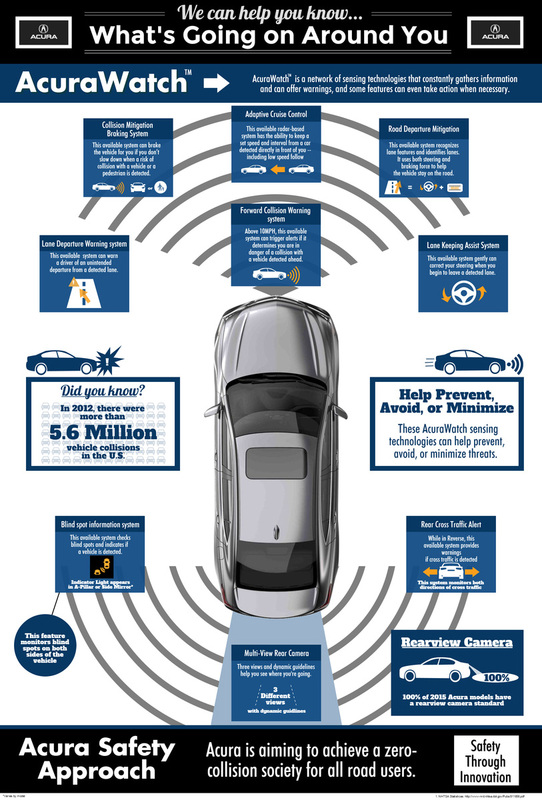 The fusion of camera and radar technology underpins the TLX’s available Collision Mitigation Braking System (CMBS) that can sense an impending frontal collision with another vehicle or a pedestrian and take action to avoid or mitigate the severity of the collision. Additional standard and available driver-assistive features in the AcuraWatch suite include Blind Spot Information (BSI), Lane Departure Warning (LDW), Forward Collision Warning (FCW), Expanded View Driver’s Side Mirror, Lane Keep Assist (LKAS), Cross Traffic Monitor and Road Departure Mitigation (RDM). 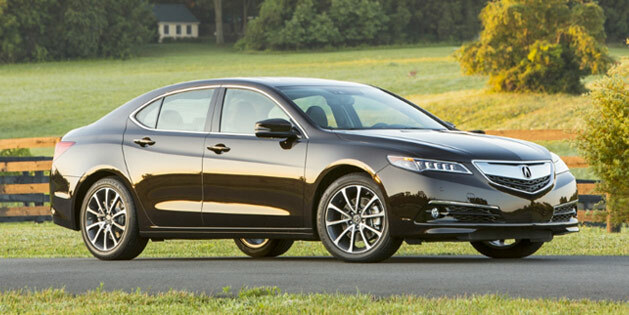 The TLX also utilizes its next generation Advanced Compatibility Engineering™ (ACE™) frontal body structure, and a new one-piece, hot-stamped steel door stiffener ring, along with advanced supplemental restraint systems – including front, side, side-curtain and driver’s knee airbags – to provide a high level of occupant protection in a wide spectrum of collision scenarios. Since the arrival of the TLX to dealerships in August, the TLX has quickly become one of Acura’s best-selling models. Designed to deliver a unique and compelling blend of sports-sedan dynamic proportion, premium luxury refinement and super-handling performance, the TLX is appealing to a broad cross-section of luxury customers with three all-new powertrains and advanced chassis technologies that respond intelligently to the will of the driver. The TLX lineup features three distinct model offerings that deliver new levels of quietness and ride comfort for a luxurious driving experience. Acura offers a full line of technologically advanced performance-luxury vehicles through a network of approximately 270 U.S. Acura dealers. The Acura lineup features five distinctive models – the RLX luxury flagship sedan, the TLX performance luxury sedan, the ILX sport sedan, the 5-passenger RDX luxury crossover SUV, and the seven-passenger Acura MDX, America’s all-time best-selling three-row luxury SUV. Acura was recently recognized by Edmunds.com for the third consecutive year as leading all luxury brands in retained value after five years of ownership. More than 90 percent of the Acura vehicles sold in America are produced at the company’s manufacturing facilities in America, using domestic and globally sourced parts.